Stuart McDonald is MP for Cumbernauld, Kilsyth and Kirkintilloch East and a member of the Home Affairs Select Committee. 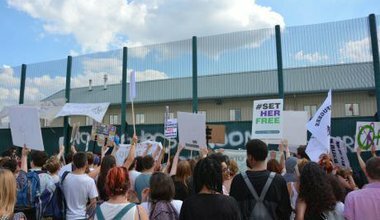 The Yarl’s Wood hunger strike has now lasted 28 days. Uniquely in the EU, the UK imposes no time limit on immigration detention. Why?